You can block cookies by adjusting the settings of your browser (To understanding how to block cookies in your browser search on Google, Bing or another search engine which you would like to use). Be aware that If you disable cookies then this site will not function properly. The block cookies settings will also affect many other websites that you use. So please understand, If you disable cookies, you’ll will not be able to use properly this site without Cookies. Therefore, we kindly request that do not disable cookies. We use MailChimp Paid Email service to offer newsletter subscription via Email and the cookies may be set to remember you, if you have opt-in for Email Subscription. We use some cookies that are provided by most trusted third parties. The following services we use on this site, that may set cookies on this site to track some of your activity data. The Google Analytics service, which is one of the prevalent and trusted analytics solution available on the web. It helps us to understand that how you use the site and ways that we can improve your experience. The Google Analytics sets cookies on this site, that may collect some of your data such as how much time you spend on the site and the pages that you visit so we can continue to produce engaging content. We have also Turned Off Data Collection for Advertising Features in Google Analytics, So It won’t track or use your activity for Advertising Purpose. To know more about Google Analytics cookies, please check the official Google Analytics Cookie usage page. On this site, we use Google AdSense to serve advertising. It uses DoubleClick and some other cookies to serve relevant ads to our site visitors. For EU (European Union) users we have disabled personalized ads, So Google AdSense will not serve relevant ads and won’t track your behavior on our site and will serve advertising which will be based on content. To know more about Google AdSense cookies, please check the Official Google AdSense Usage Policy Page. As We have clarified all the Cookies related things and if you still think we have missed something in this Policy. 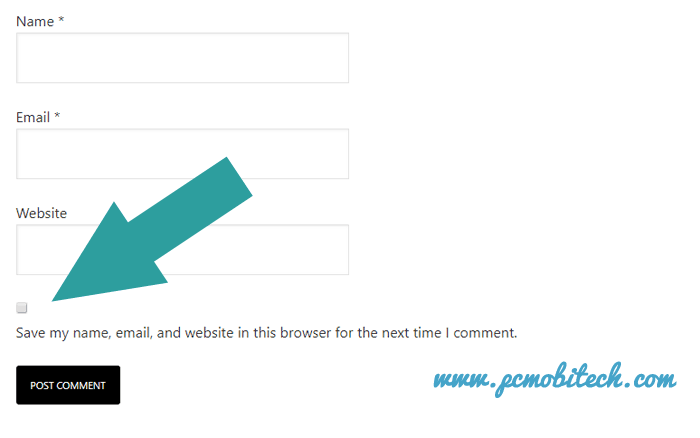 Please send an email to admin@pcmobitech.com. We will be happy to assist you with more details.